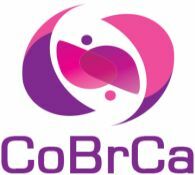 The CoBrCa Congress would like to thank the supporters. It is with the support of the industry that CoBrCa can continue in its mission to promote research and education and to disseminate new knowledge. The UCSF Helen Diller Family Comprehensive Cancer Center (HDFCCC) combines basic science, clinical research, epidemiology/cancer control and patient care from throughout the University of California, San Francisco system. UCSF’s long tradition of excellence in cancer research includes the Nobel Prize-winning work of J. Michael Bishop and Harold Varmus, who discovered cancer-causing oncogenes. Their work opened new doors for exploring genetic abnormalities that cause cancer and formed the basis for some of the most important cancer research happening today. In addition to the HDFCCC’s robust breast cancer research and treatment program, UCSF is home to the Center for BRCA Research, one of only two such centers in the US. Its mission is to provide a central resource for families with BRCA and other mutations to receive personalized care and planning for their long-term health and well-being. This is our opportunity to rethink how we treat and manage hereditary cancers.